This looks like another tricky week here on the PGA Tour as the Florida swing gets underway. The PGA National Champion Course was opened on November 17, 1981 and was designed by Tom Fazio. It was the site of the 1983 Ryder Cup, the 1987 PGA Championship and the Senior PGA Championship for 19 years, from 1982–2000. The course underwent a $4 million renovation by Jack Nicklaus in December 2002, and in 2007 became the home of The Honda Classic. The Champion Course is a tough par 70 with two par 5’s, four tricky par 3’s and 12 par 4’s and will be a difficult test for the players this week. This course has Bermuda grass greens, which is a feature on most Florida courses. The fairways are quite wide and forgiving, however the greens here are tricky and guarded by plenty of bunkers. There are over a dozen water hazards to contend with and the wind tends to be a factor on this course so be on the lookout for good wind players that hit a lot of greens. There are over 100 bunkers on this course so good scrambling and sand saves will be essential. Looking at the way this course sets up, it might be worth looking at par 3 performance as this course has four very tricky par 3’s with GIR, strokes gained putting and par 4 performance also key stats here. The “Bear Trap” is a key feature on this course with the par 3 15th, par 4 16th and par 3 17th being particularly difficult and could potentially offer a thrilling finish come Sunday night. The 18th is a straight forward par 5 and reachable with two good shots. The weather could have a part to play again here with wind and rain forecast early and late this week and looks like it could be a threat throughout the tournament. I’ve decided to stick with the Aussie here after a decent performance last week in Riviera. He was knocking around the top 10 for most of the week and I thought he might just squeak some place money but it wasn’t meant to be. However he did play well and finished T11 for the tournament on nine under par. He has been in good form so far this year with five top 15’s in his last five starts. He played well at The CIMB Classic finishing T10 and followed that with a T14 at the WGC HSBC Champions. 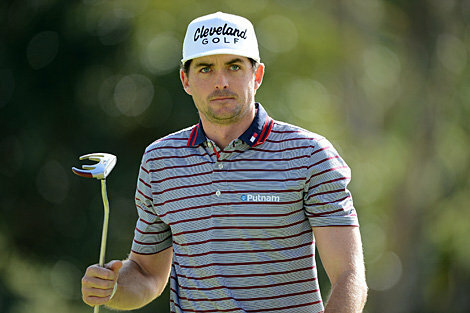 Scott then played in his native Australian Open finishing T14 for the tournament on six under which included a second round 65. Last week he shot four steady rounds of 70 or better to finish T11, which looks very encouraging coming to Florida this week. He has only played here three times in the past missing the cut in 2011, but followed that with a T12 in 2014 and a win last year. He played superbly well here last year shooting 70,65,66,70 to post nine under par in total. The Aussie is a great wind player and ranks 21st in SG Off the tee, first in SGP, fourth in sand saves and 15th in par 5 scoring. After decent performances over the last few weeks Scott looks a good shout here. Knox is another player in decent form coming to Florida this week with eight top 20’s in his last eight starts. He started the season with a T10 at the CIMB Classic and followed that with a T9 at the WGC HSBC Champions, solo third at the OHL Classic, T19 at the World Cup of Golf and a solo 16th at the Hero World Challenge. He started the New Year off with a T17 at the SBS Tournament of Champions in Kapalua followed by a T11 at the Sony Open where he didn’t shoot worse than a 69 throughout the week. He has a good record on this course finishing T26 last year, T3 in 2015 and just missed out on a win in 2014 after losing a playoff to Russell Henley to finish second. The Scot is another solid wind player and ranks sixth in GIR, fifth in birdie average, fourth in par 3 scoring and 10th in par 4 scoring. Knox is in fine form and could be a big danger man here. The Florida native has had a decent season so far with three top 15’s in his last six starts. He had a good week at the WGC HSBC Champions back in October and didn’t shoot worse than a 70 throughout the tournament to finish T2. He followed that with a T14 at the SBS Tournament of Champions in Kapalua finishing 12 under par for the week. Most recently, Berger had another solid performance at the Phoenix Open finishing T7 which included rounds of 71,66,66,68 to post 13 under par in total. Berger has only played here twice before and was unlucky not to win in 2014 after shooting a final round 64. He made it into a playoff with veteran Padraig Harrington and came up short to finish second. He does tick some statistical boxes here ranking 26th in SGP, 17th in scrambling and fourth in par 3 scoring. The young American has been playing some great golf this season with three top 10’s and two top 30’s in his last six tournaments. He had a great week at the RSM Classic finishing T6 and followed that with a T27 at the Sony and a T9 at the Farmers Insurance Open in Torrey Pines. He then shot three rounds of 70 or better to finish T24 at the Phoenix Open to post nine under for the tournament. Last week in Riviera, Schneiderjans kept his good from going shooting 68,69,69,68 to finish T8 on ten under par in total. He could be another player that could suit this course averaging just over 300 yards off the tee ranking 30th in driving distance. He has played here twice before missing the cut last year and finished T9 in 2015. Schneiderjans looks great value here and could be one to watch. Well it was an exciting finish at Riviera last week where Bubba Watson won his second Northern Trust Open getting us a nice 22/1 winner. Despite Kokrak’s superb scrambling and Adam Scott chipping in on 18 for birdie, Watson still managed to birdie 17 and par 18 to win by one. That makes it four winners and seven places in the last 13 events giving us a healthy +92.21 pts profit for the season so far. Let’s keep it going this week at The Honda Classic in Florida. The Champion Course is a tough par 70 with two par 5’s, four tricky par 3’s and 12 par 4’s and will be a difficult test for the players this week. This course has Bermuda grass greens, which is a feature on every Florida course. The fairways are quite wide and forgiving, however the greens here are quite small, tricky and guarded by plenty of bunkers. With the breeze expected to get up a little bit, be on the lookout for good wind players that hit a lot of greens. There are over 100 bunkers on this course so good scrambling and sand saves will be essential. Despite losing a playoff to Hideki Matsuyama in Phoenix a couple of weeks ago, Rickie Fowler comes to Florida in great form and well rested after taking last week off. He has started his season off with a T17 at The WGC HSBC Champions and followed that with a solo third at The Hero World Challenge, solo fifth at The Hyundai Tournament of Champions, a win in Abu Dhabi and a P2 in Phoenix. He has played well on The Champions Course in the past finishing T7 in 2012, T13 in 2013 and T24 in 2014. He ticks a lot of boxes statswise ranking 16th in GIR, 13th in SGTTG, eighth in SGP, fourth in par 4 scoring and first in par 5 scoring. Rickie is in super from at the moment and could have another good week after playing well here in the past. Patrick Reed has been playing solid for the last three months and looks like winning any day now. He started the season of with a T10 at The CIMB Classic and followed that with a T7 at The WGC HSBC Champions and a solo second at The Hero World Challenge. He started 2016 off with a solo second at The Hyundai Tournament of Champions and had a super week in Pebble Beach finishing T6 which included a 65 in the final round. He has played well here over the last couple of years finishing T24 in 2014 and T7 last year. Reed ranks 18th in GIR, 20th in SGTTG, second in scrambling and fifth in par 4 scoring. If he carries the form he had in Pebble into this week he will be one to watch. The South African has been playing superb lately and had a great win in Qatar a couple of weeks ago finishing on 14 under for the week. He has a win and five top 10’s in his last six events. He finished the 2015 European Tour season off in style with a solo third at The DP Tour Championship and followed that with a T8 at the Alfred Dunhill Championship and a T4 at The Nedbank. He started 2016 with a T4 at The SA Open, T5 in Abu Dhabi and a win in Qatar. Statswise he ranks 33rd in GIR, 21st in SGTTG, 11th in sand saves and ninth in stroke average. Grace tends to play well on the tougher courses and could be a huge contender here. Despite a missed cut in Phoenix, Kisner has a win and three top 10’s in his last five starts and looks to be playing some super golf at the moment. He finished solo second at The WGC HSBC in Shanghai, which included an opening round 64 and followed that with a win at The RSM Classic shooting 64, 64 over the weekend to seal the victory. Kisner then started 2016 off with a solo ninth at the Hyundai Tournament of Champions and a T5 at The Sony, which included an opening round 63. Kisner also ticks a lot of boxes statistically ranking 21st in both GIR and SGTTG and 14th in SGP. He also ranks second in par 4 scoring and ninth in par 5 scoring. He finished T51 here last year but comes here in much better form this time around. Freddie has been playing well over the last few weeks with three top 10’s in his last five events. He had a great week at The RSM Classic finishing solo fifth and followed that with a T4 at the weather delayed Farmers Insurance Open in Torrey Pines. The Swede had another solid performance in Pebble finishing T4 and scrambled and putted superbly well. He has a good record here finishing T12 in 2014, T25 in 2013, T16 in 2012, T6 in 2010 and T5 in 2009. He ranks 26th in SGP, 14th in scrambling and third in par 3 scoring and looks like a great each way shout here. The Champion Course is a tough par 70 with two par 5’s, four tricky par 3’s and 12 par 4’s and will be a difficult test for the players this week. This course has Bermuda grass greens, which is a feature on every Florida course. The fairways are quite wide and forgiving, however, the greens here are quite small and tricky and guarded by plenty of bunkers. GIR will be a stat to take in consideration this week along with accurate long iron play. There are over 100 bunkers on this course so good scrambling stats is another one to consider. Rose has been playing well since the end of November finishing T2 at The DP World Championship in Dubai. He followed that with another good week at The Hero World Challenge in December finishing T6 on 11 under for the week. He started 2015 well on The European Tour with a couple of top 15’s finishing T12 at the Abu Dhabi Championship and T13 at The Qatar Masters. Rose has a good record at this tournament with three top 5’s in his last three appearances. He finished T4 in 2013, T5 in 2012 and solo third in 2010. Last season, Rose ranked fourth in strokes gained tee to green, 41st in GIR, 14th in par 4 scoring and 31st in scrambling. His approach stats are also good, ranking third in approaches from 175-200 and second in approaches from 200-225. After taking the last couple of weeks off, Rose will be feeling fresh coming to a course he has played well on in the past. 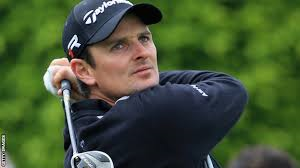 Bradley played well last week in Riviera finishing T4 at The Northern Trust Open shooting a final round 68. He has been playing well since December and put in a solid performance at The Hero World Challenge finishing T3 on 15 under par for the tournament. He followed that with a T48 at The Humana Challenge and a respectable T17 at The Phoenix Open. He has played well on The Champions Course in the past finishing T12 last year, T4 in 2013 and T12 in 2012. Statswise he seems to tick the boxes ranking 25th in driving distance, 10th in strokes gained tee to green and seventh in approaches from 100-125. He also ranks 18th in approaches from 150-175 and third in approaches from 200+, which are two good stats for approaches into the par 4’s and par 5’s. After a top 5 finish last week and good performances here in the past, Bradley is another player that could be one to watch here. Gmac has been playing well over the last few months with three top 11’s in his last five starts on both the European and PGA Tour. He had a great week at The WGC HSBC Champions back in November finishing T3 on 10 under for the tournament. He followed that with a T11 at The Hero World Challenge in December. Most recently, he had a good week at The Dubai Desert Classic finishing T9 on 14 under for the week, which included a 67 in round one and a 65 in round two. McDowell has played well on the Champion Course before with three top 10’s in his last four appearances. He finished T9 in 2013, T9 again in 2012 and T6 in 2011. Last season, Gmac ranked 12th in driving accuracy, first in stroke gained putting and fifth in approaches from 150-175. He also ranked 39th in scrambling and 14th in par 4 scoring. After a good start to 2015 and a good previous record on this course, McDowell could have another good week here. After missing his first cut of the season at Pebble Beach a couple of weeks ago, Ryan Palmer could be a player to keep an eye on here. He started the season well with a T22 at The WGC HSBC Champions back on November. He followed that with a T17 at The Sony Open in Hawaii and a T10 at The Humana Challenge. 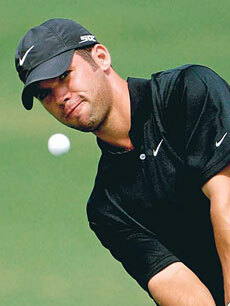 Most recently, he played well at The Phoenix Open finishing T2, which included a 64 in round one. He has played well here before finishing T2 last year and T26 in 2012. Palmer is another player that ticks all the boxes statswise, ranking fifth in driving distance, 11th in GIR, 18th in strokes gained tee to green and 21st in strokes gained putting. He also ranks ninth in scrambling, second in par 4 scoring and 17th in par 5 scoring. With two top 10’s in his last three starts, Palmer could have another good week after playing so well here last year. Paul Casey had a great performance last week at The Northern Trust Open shooting a final round 68 to get himself into a playoff with Dustin Johnson and James Hahn. He was knocked out of the playoff but finished P2 on six under par for the tournament. 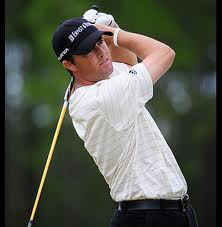 He had a respectable start to the PGA Tour season finishing T37 at The CIMB Classic and T30 recently at The Sony Open. Casey has played this event on three previous occasions finishing T12 last year and T4 in 2010. Casey ranks 38th in strokes gained tee to green, 30th in strokes gained putting and eighth in birdie average. He also ranks second in approaches from 75-100, sixth in approaches from 150-175, sixth in putting average and fifth in par 5 performance. After a great performance last week in Riviera, Paul Casey could have another good performance on a course he has played well on before.